The U.S. Supreme Court recently issued a decision in the case of US. Airways, Inc. v. McCutchen in a ruling that underscored common sense must be applied when third-party compensation litigation is involved. In the end, the court found that an insurance company can’t force a person to reimburse the full cost of third-party compensation if doing so would actually make them worse off than had they not pursued third-party action in the first place. This kind of scenario actually crops up fairly frequently, so our Boston injury lawyers were pleased to hear it being addressed. This important case started in a rather ordinary way: With a car accident. The plaintiff was an injured airline mechanic. He was injured in an off-the-job motor vehicle crash in which he was not at-fault, though he was badly injured. This individual had medical insurance through his employer, US Airways. His total medical expenses ended up being nearly $67,000, which the company insurer covered without issue. But here’s where it got tricky: The injured man then sued the other driver and his insurer. He won. As a result, he received total compensation in the amount of $110,000. However, about 40 percent of that went to his attorneys, who helped him to win the case. What that meant was that he was then left with $66,000. This is a little less than what US Airways had paid. The firm’s health plan had a clause that required injured parties to reimburse the company for any money it had paid out of what had been recovered by the third party. What the justices were asked to decide was whether that policy meant that this injured man would have to fork over every single penny of that $66,000 he was awarded – plus another approximately $1,000 – or whether he was only required to reimburse a portion. There wasn’t actually any language at all in the health plan that mentioned the issue of attorneys’ fees. As Justice Elena Kagan wrote, that could be interpreted one of a couple of different ways. The first would be that the injured party would be required to pay back every single penny of the total he received from that third party. The second would be that the reimbursement would only be deducted after the “true” cost of recovery. In other words, while the judgement was for $110,000, the true recovery in this case for the plaintiff was $66,000. 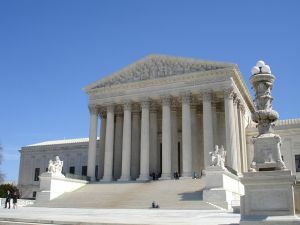 The justices reasoned that fairness would require the court to interpret the plan in the second way. She rightly pointed out that when it comes to third-party recoveries, they aren’t free. This man could not have expected to receive any compensation without the help of an attorney, whom he would rightly be expected to pay. But should the injured party be worse off for the fact that he pursued legal damages from the wrongful party? The justices decided that unless there was some amount of cost sharing, the injured party’s health insurer would basically be getting a “free ride” – receiving all the compensation without having to put it any of the effort or investment it would take to receive reimbursement. Further, by leaving the injured party even worse off, Kagen remarked, this man was in effect paying for the “privilege” of serving as a collection agent for the insurer. Such an injustice could not stand. The court did not decide exactly how much the injured man should have to pay. That question was remanded back to the lower court. If you have suffered a personal injury in Massachusetts, call the Law Offices of Jeffrey S. Glassman for a free and confidential appointment — 1-888-367-2900.